Who knows what Darth Vader gets up too in his meditation chamber. Whatever it is, you do not want to be the officer who interrupts his private time. Cpt. 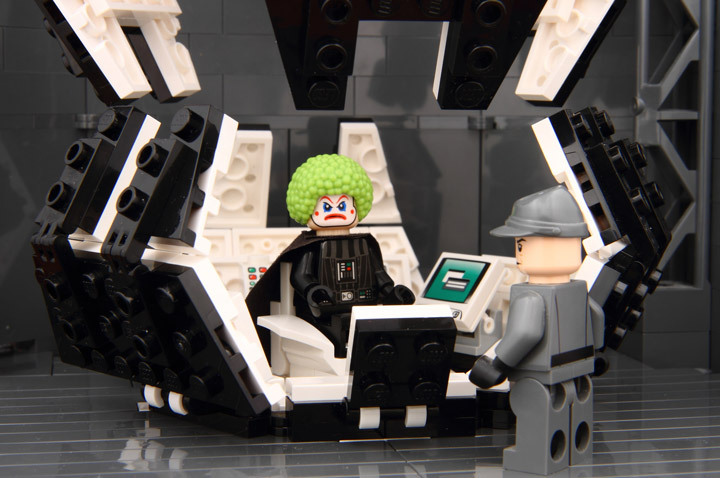 Brick imagines Darth Vader clowning around in his spare time. 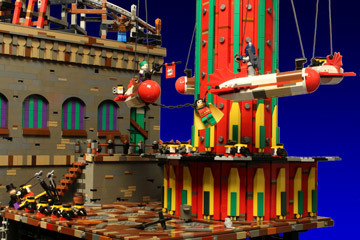 This Lego Star Wars MOC, titled A Bad Day for Admiral Piett, is a great example of the humor found in Lego. 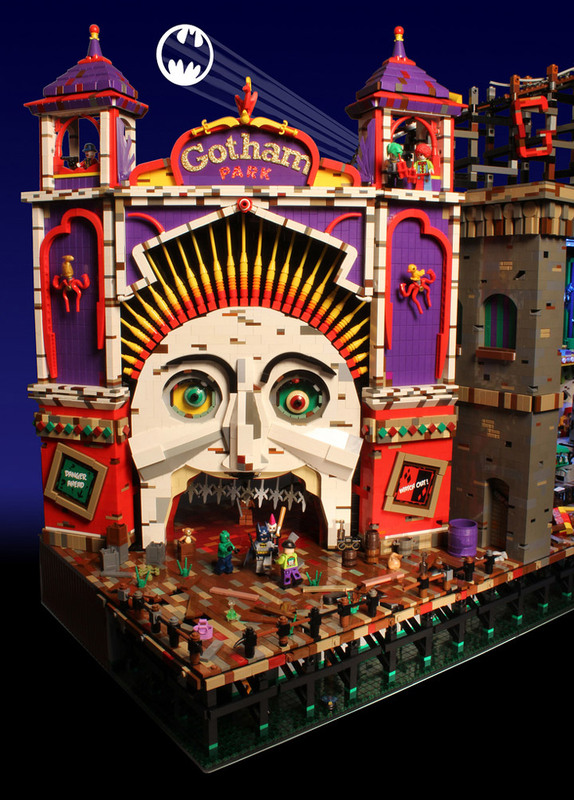 The newest Lego Minifigures Series is almost here. 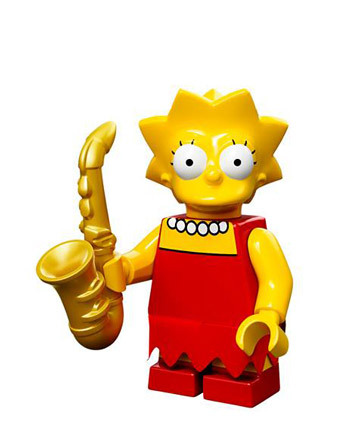 The Lego Simpsons Minifigures will be available for sale in May, at a price point of $3.99. 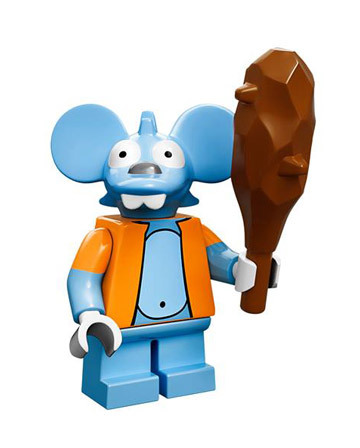 All 16 Minifigs include unique head sculpts and in most cases new accessories. There is a whole lot of printed pieces in this series. Even though the Minifig heads are definitely Simpsons their bodies and parts mix and match pretty well with other themes. 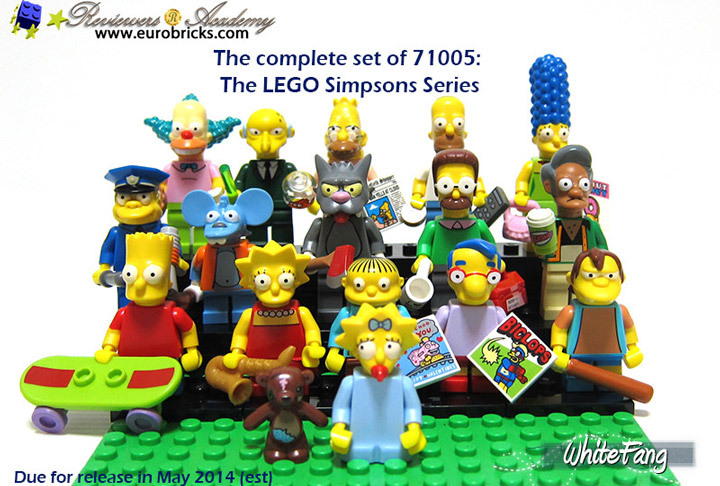 WhiteFang has just posted an early Lego Simpsons Minifigures Review over on Eurobricks. 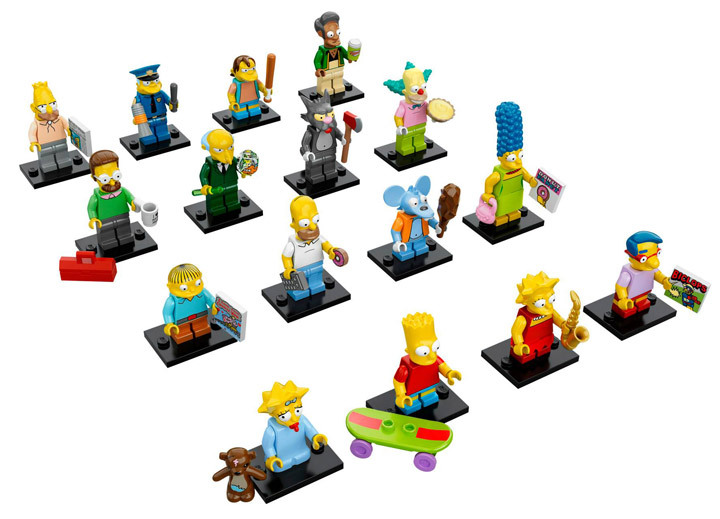 Each box of the Lego Simpsons will include at least 3 complete sets of Minifigures. 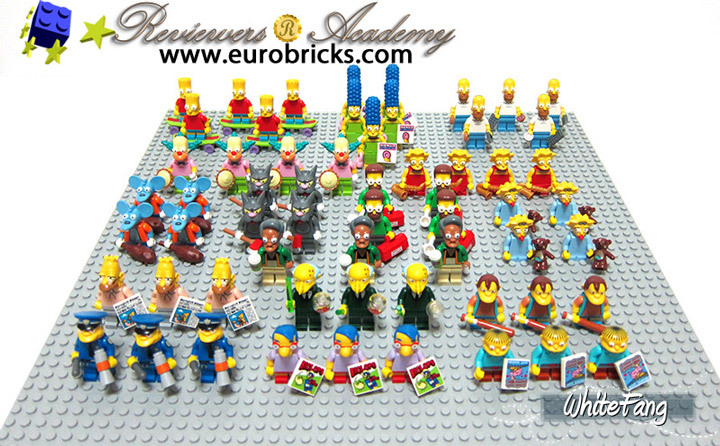 The Simpsons family makes up the most common Minifigs, and the smaller characters are the rarest. 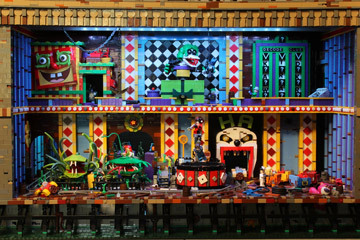 There are 5 Homer Simpsons, 5 Marge Simpsons, 5 Bart Simpsons, 4 Lisa Simpsons, 4 Maggie Simpsons, 4 Krusty the Clowns, 4 Ned Flanders, 4 Itchys, and 4 Scratchys. 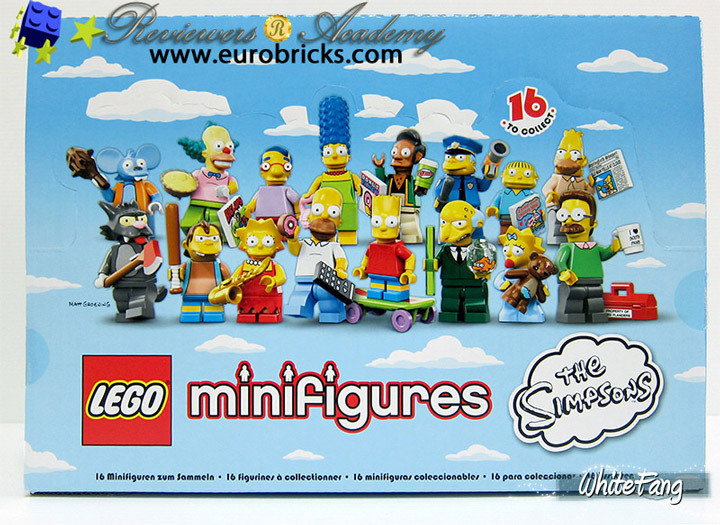 The hard to find characters come in sets of 3, with Grandpa Simpson, Apu, Mr. Burns, Nelson, Clancy Wiggum, Ralph Wiggum, and Milhouse. This is probably the best assortment. 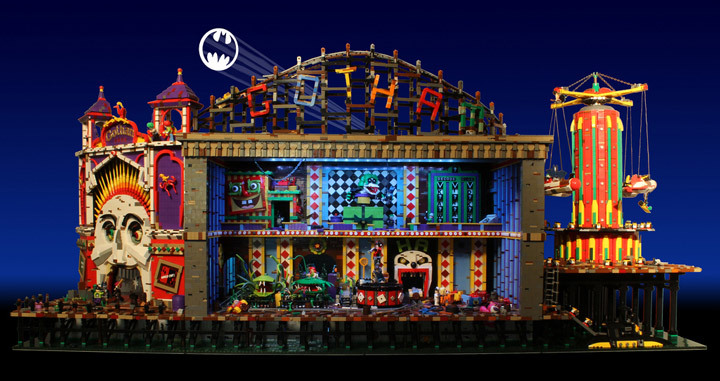 It favors the whole family, but doesn’t make any of the other character extremely rare. Luckily all of these Minifigs should be pretty easy to feel inside the packaging, as each character is unique. 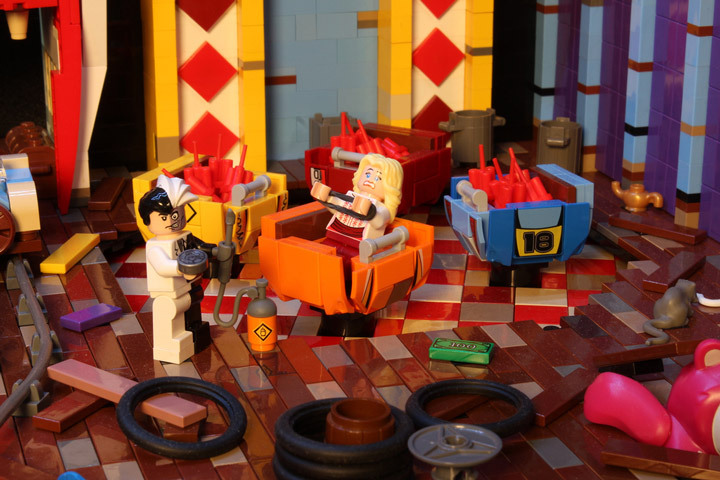 Lego spent a lot of time creating these new Minifigs and it shows. 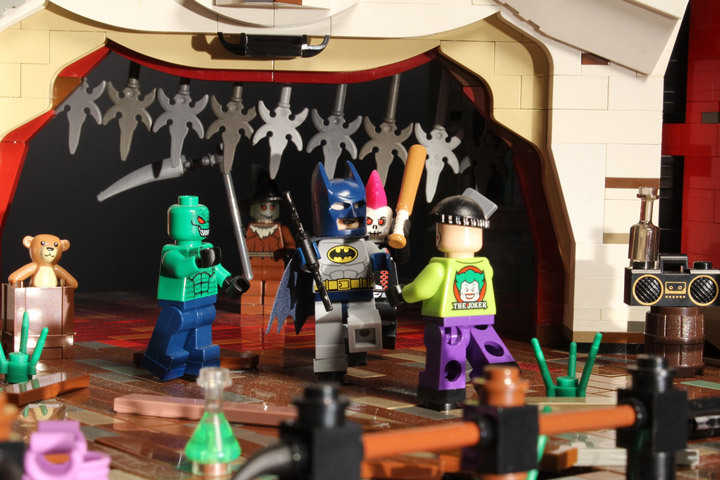 The attention to detail, and fan references in these Minifigs are all perfect. 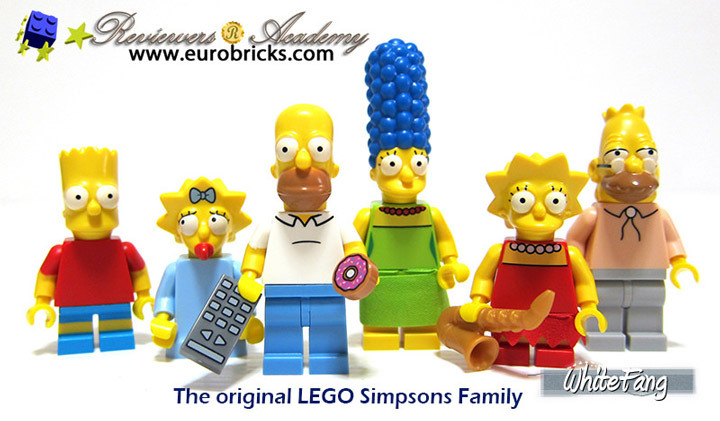 The one exception is that the fat characters (Homer, Wiggum, and Krusty) look a little bit weird with the default Lego body. It looks like everyone has been on some amazing diet. It would be interesting to see the stomach piece from the Hobbit theme be appropriated here. Still you can sign me up for a whole set. They will look great with the Simpsons House. 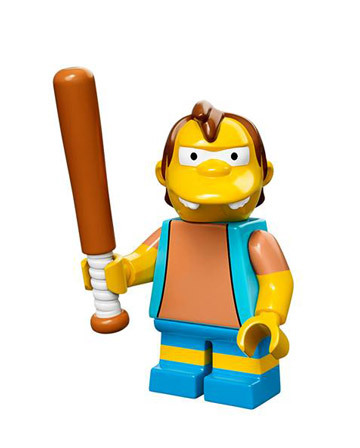 Lego has release the first official images for the upcoming Lego Simpsons Collectible Minifigures. These will be available in May at a $3.99 price point. 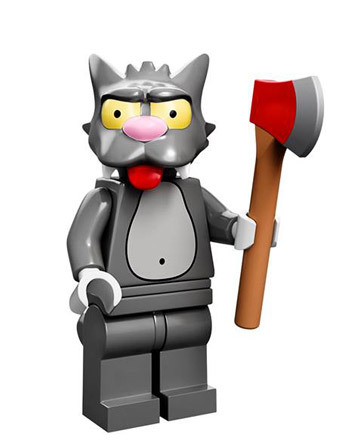 Which happens to be a dollar more then the previous Minifigure Series. The good news is that the new sculpts and accessories kind of make up for this increase. 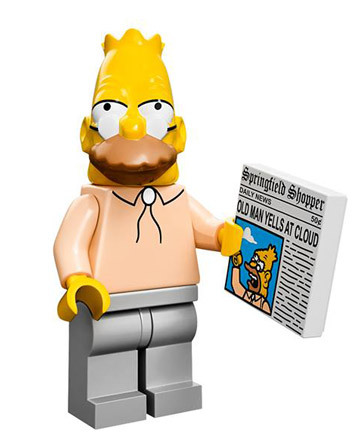 When Lego released the Simpsons House (71006) in February, a whole lot of people were concerned by the facial expressions on the Minifigures. These new figures should make up for that, because all of them (except Maggie) have a more neutral expression. Hopefully this is the first wave of many Minifigs. 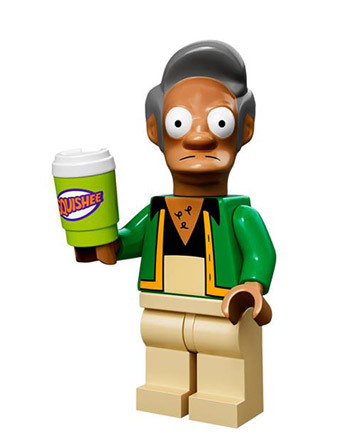 It would be great to see these last as long as the World of Springfield action figures. 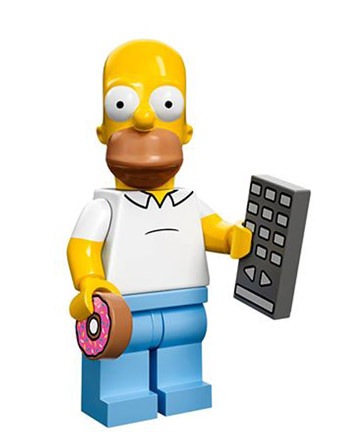 Homer Simpson come with a delicious donut and TV remote. 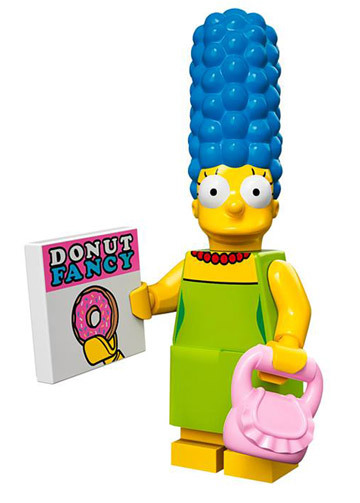 While Marge Simpson comes with a donut magazine and purse. 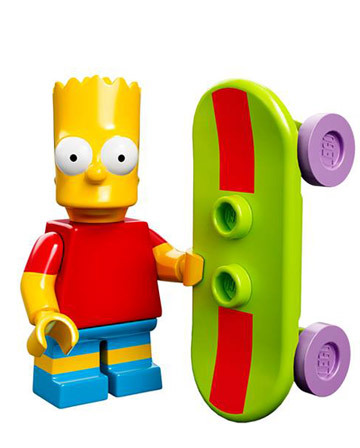 Lisa Simpson has her saxophone and Bart Simpson come with his green skateboard. Maggie Simpson has her treasured Bobo, and Grandpa Simpson is reading a newspaper. Check out that micro printing. 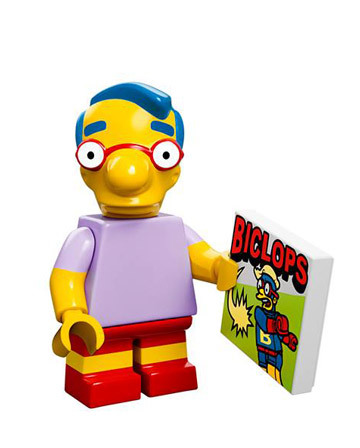 Milhouse recently made an appearance in the Lego Movie as a Master Builder, and here he comes with a Biclops comic book. 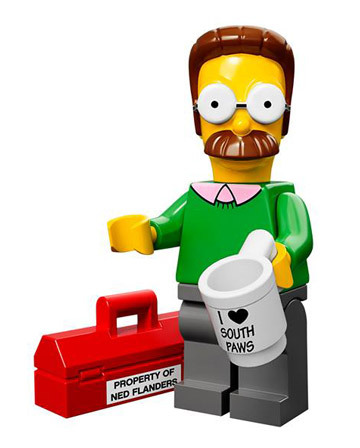 And, Ned Flanders comes with a left handed mug, and tool box. 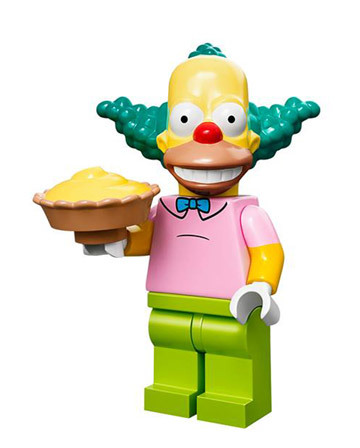 Krusty the Clown comes equipped with a pie, and Apu gets a Squishee. 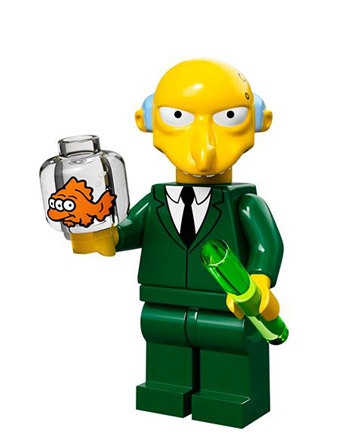 Mr. Burns gets Blinky the three eyed fish, and an inanimate rod. While Nelson is up to no good with a bat. 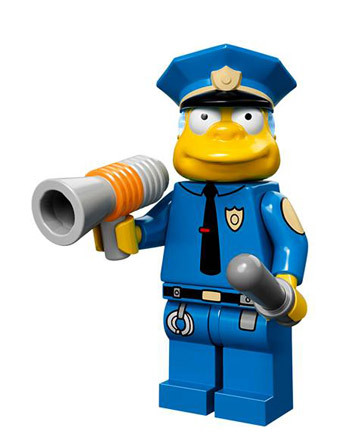 Chief Wiggum is looking thin and comes with a megaphone and police baton. 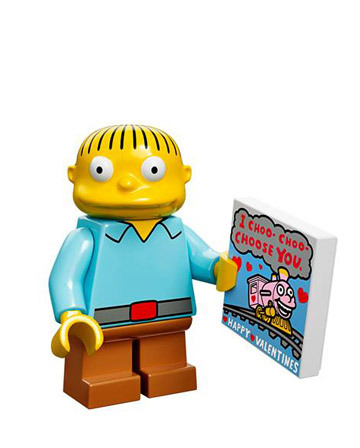 His son, Ralph Wiggum, is looking to Choo-Choo-Choose someone for Valentines day. Itchy and Scratch are up to some hijinks with an axe and club.